German by name but Spanish by birth, German Brigante is an artist with a passion and dedication to producing infectious dancefloor grooves. Next month, he makes his return to Australia and New Zealand for a series of gigs. 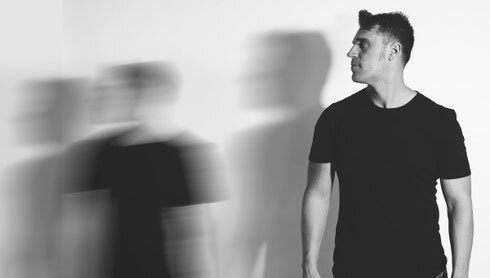 German’s growing popularity within the electronic music fraternity was cemented by his position in Resident Advisor's Most Charted Artists Of 2013 chart which saw him rated No.56. Hailing from the south of Spain, his sets are focused on a bumping, groovy form of tech house that aims straight for your hips and keeps dancefloors filled with energy. From his use of percussion and basslines he designs in his lab, German's sound aims to make people move. Recent releases have come via labels such as Get Physical, Saved and Off Recordings and he is just as comfortable working with other artists as he is on solo projects, hence studio sessions with a variety of collaborators can also be found in his back catalogue. As his popularity continues to increase so too does his thirst for making and playing the music he loves. Whether it be DJing in clubs across Europe and America to spending his time in the studio cultivating irresistible new grooves, German's passion shows no signs of relenting as he continues to build his name.